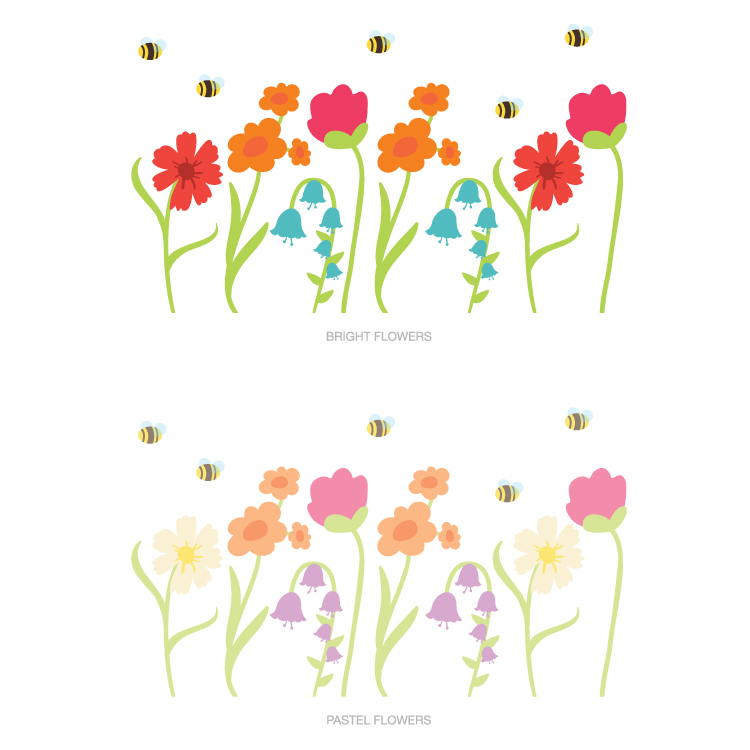 Our Spring Garden Flowers with Buzzing Bees will add color and life to your space! Our Printed Decals are easy to apply and are ideal for any smooth and flat surface! If your walls have any texture, we recommend purchasing a Printed Test Decal Sample Pack first. Layout as shown: 27 inches wide by 15.5 inches high. Pictured is our Bright Flowers color combination. This item is also available in a Pastel Flowers combination. See detailed images for color options. Flowers come laid out individually for easy application and so you can create your own look! Absolutely LOVE this!!! Perfect for our playroom!!! Can't wait to shop for more! Thanks SO much!! Their art is just awesome! Truly unique! I bought a bamboo decal and I put it on our bathroom. It looks perfect! I just bought two more and I cant wait to put it on our wall. Thanks! I love my decals they look like someone just painted them. I have a few other places to place them and am excited to order them. I ordered three sets of decals. They arrive very quickly. They were extremely easy to put up and ended up looking great in my house! I look forward to ordering more from you guys in the future!